Simon Cowell will return to 'The X Factor' tonight (04.11.17). The 58-year-old show was forced to miss last week's first live episode after he was rushed to hospital because he'd taken a tumble down the stairs of his London home when heading downstairs to retrieve a glass of milk to help him sleep but, despite being a bit battered and bruised, he will be well enough to sit on the panel this week. A source told The Sun Online: "He's feeling much better now. "He didn't want to race back and hinder his recovery - especially given doctor's orders. He's already started working with his acts and has met up with them all to prepare for the weekend's performances. Everyone knows how much of a workaholic Simon is so he's obviously gagging to get back into the swing of things." 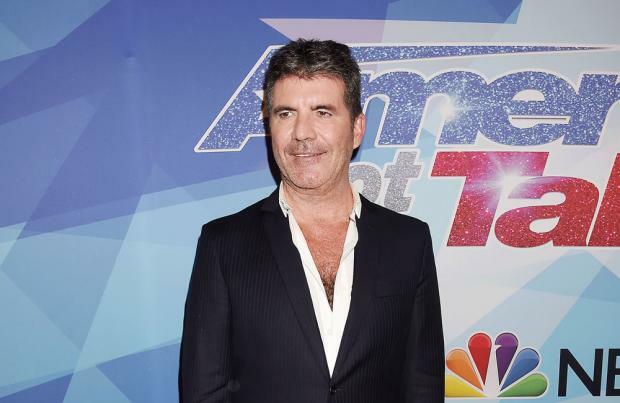 Simon's Britain's Got Talent' co-judge Alesha Dixon filled in for him last week and she has admitted she's so relieved none of his Groups were given the boot. She exclusively told BANG Showbiz: "I had a great time but obviously it wasn't under the best circumstances, I would have much rather been at home with a cup of tea watching the show, it wasn't ideal but at the same time it was fun and I'm just glad none of his acts went home under my watch. I see 'Britain's Got Talent' as my family but because a lot of the same team works across both of the shows, I sort of see it as I'm helping them out doing them a favour. Literally I was sitting on my couch, I was feeling a bit poorly and I was literally feeling sorry for myself about quarter to two in the afternoon and then my phone rang and one of the producers was literally having a hissy fit, I was like don't worry, I gotcha!"